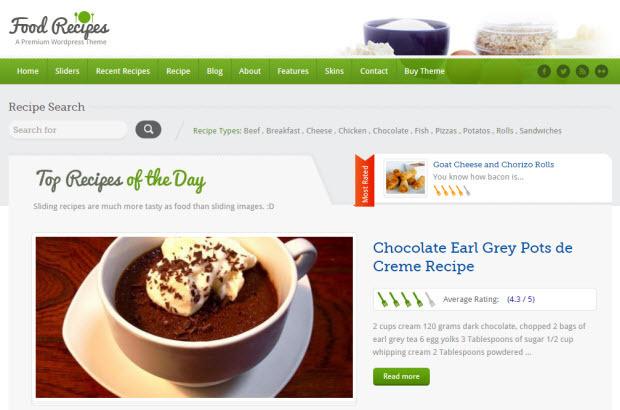 4 Best Food Recipes WordPress Themes To Make Your Blog Look Yummy! We have witnessed how blogging has taken the internet world by storm with its almost startling number of ways in which it could be molded. If there’s anything that WordPress has proven, is its amazing malleability with which everyone could claim a piece of his own on the internet of things. Lifestyle blogging has went on to become one of the biggest niches of blogging and the most popular sub-genre among it being the food blogging. Lifestyle blogging isn’t an easy bet, even though it tends to seem pretty straightforward and easy in the beginning. Lifestyle blogging needs significant experience and the capacity to grab the attention of readers with fresh content every week and a bit of originality. Re-posting other recipes on your blog again would be just echoing and to build a successful food blog, you need that something tangible extra that goes into the making of a successful blog. Apart from having a host of unique recipes and food places to review, having an eye-grabbing blog is the first and important thing to begin with. A blog that inculcates a sense of loyalty and authority among the community you build. A theme speaks your seriousness into the blogging universe and the one that doesn’t make the reading and browsing easier for the reader stands no place in the blogging hall of fame. 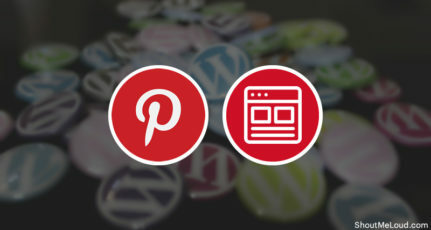 Getting people to read and browse through your articles is made better by using themes built by the great developers’ community for WordPress. Leveraging the works of these developers and your content built on it stands a higher chance of getting more attention than any amateurish blog with good content but no serious urge to make the reading better. 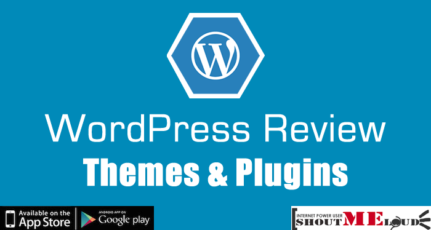 Finding themes that just suits your food blog might not be an easy task, given the number of themes that are available for WordPress, for every genre and sub-genre individually. Everything you need is out there, all you need to do is to find and reach out to those. Here we will be making things a tad easier for all those mommy bloggers, grandmothers and all other food junkies that need to get their unique and creative food recipes out into the world! Food recipes is one of the clean and easy on the eye theme out there for food blogs based on WordPress. The theme is fully responsive and is available with video support if you ever happen to accompany your recipes with a spice of video blogging. The theme comes with four different color schemes and five different home page slider variations to fit your needs. It comes with recipe listing in two variations and they both tend to impress on the first look and seem to impose knowledge and authority in a way that makes the reader engaged with the content. 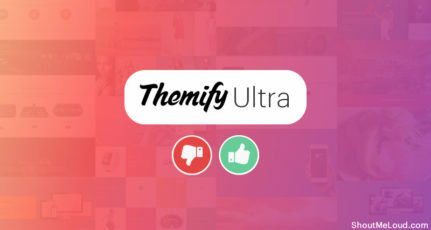 Other cool features include social media icons for getting your recipes viral, recipe rating, recipe submitting, user listing and much more. 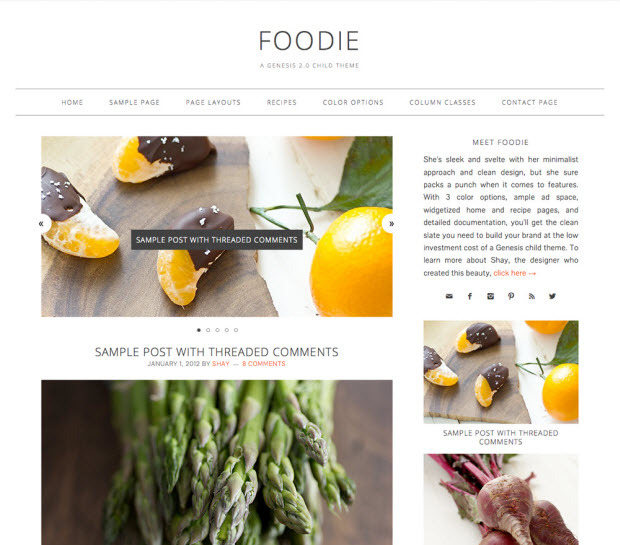 Head on to their website if you find this theme interesting and fit for your food blog needs. 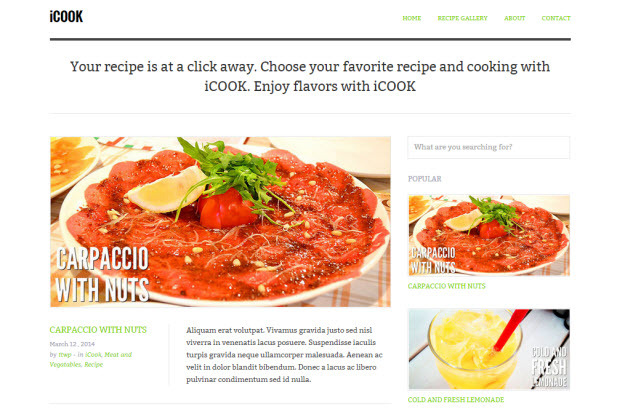 iCook is one of the latest and coolest WordPress themes for food bloggers. The theme instantly sheds some light on the seriousness and professionalism of the blog author. 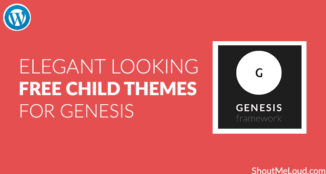 Clean and no-nonsense, the theme delivers every bit of a stylish way to showcase your recipes. The theme comes with a clean recipe gallery with filters to search through a recipe. Custom shortcodes for recipes and popular recipes are some among the host of features this theme offers. The theme is built on Tesla framework that makes theme customization easier without a deeper coding knowledge. Bold and fresh, this theme offers a fresh perspective on food blogging and all it needs is your unique content to complement for the good looks. If you are extremely into food blogging and want a reliable framework to be built on entirely, then Foodie Pro is your best bet out there. 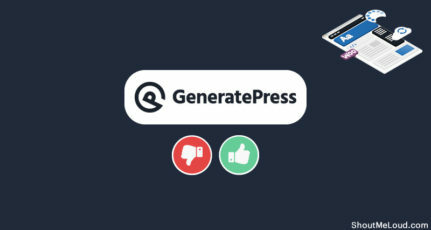 Although the price may seem a bit out of the league compared to the rest mentioned here, this one comes built on Genesis Framework, which individually is a great WordPress framework in its entirety. The theme is a minimalist one and would present your recipes with grace and a svelte to it. This is a responsive theme and will ensure your tablet or mobile readers will never confuse salt with sugar. The theme comes with plenty of theme, typography and color options for making your blog stand out among the competition. 6 layout options and other features like featured images and custom header make way for an eye-catching food blog. Organic Food is a great WordPress theme designed for nutritionist, health coach, cooking school, and food delivery websites. The theme is completely responsive, retina ready and easy to customize. 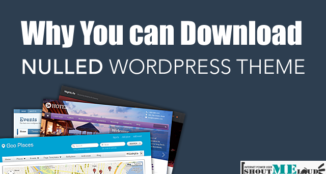 The theme comes with sample homepages which you can edit and create your own. You can also combine the default content from different homepage samples. 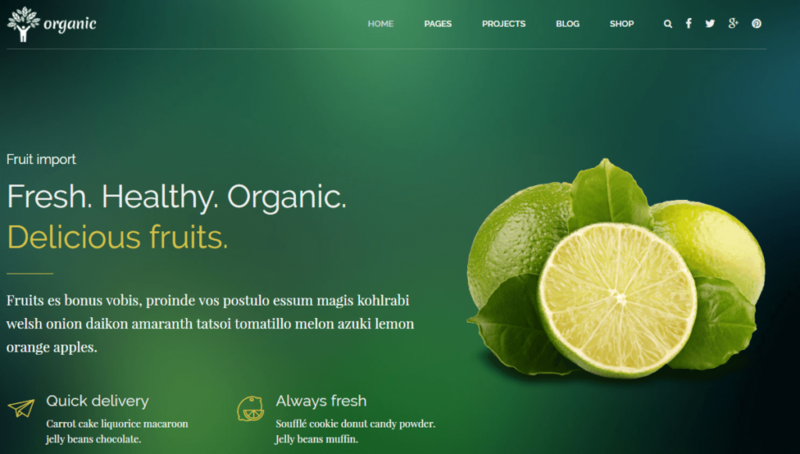 Organic Food theme is loaded with tons of features like unique page transitions, distinctive typography, Google charts support via Visualizer plugin, customizable quote calculator, and fast page builder. The theme is WooCommerce compatible and supports multi-language translation. 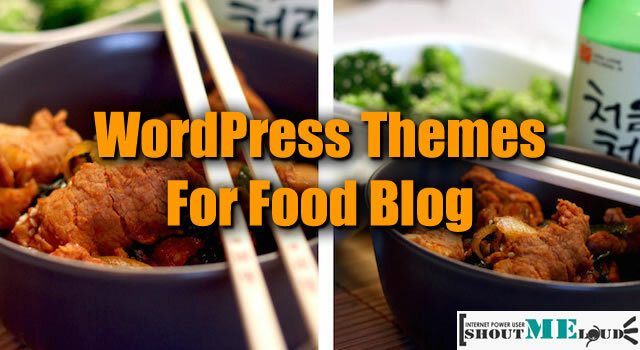 Have we missed out on any of your favorite WordPress themes for food blogs? Do share them below. Handy post Harsh, thanks for compiling it. I love the first theme, that looks a cracker (please excuse the pun). I find Divi, although not a food specific theme, also looks fabulous on a food blog. If I would start a food recipie website, as I having a lot of interest in cooking, then I would go for icook due to its 100% responsiveness and stunning design. Thank you so much Srikanth, from the bottom of my heart for giving me suggestion. It was really good and that meant a lot to us. Very useful post by you. I like the iCook theme a lot. It’s really nice theme if you have your own food corner or restaurant.